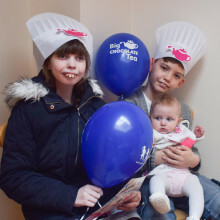 The Sick Children’s Trust’s biggest annual fundraising campaign, Big Chocolate Tea, has got off to a choc-tastic start after families, friends, supporters and staff came together for a fun-filled afternoon. 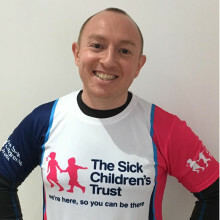 Alan, from ArgoGlobal, will run this Sunday's London Marathon in a personal challenge to raise funds for The Sick Children's Trust. 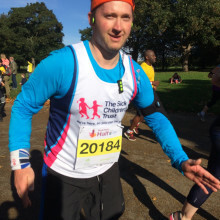 David Rayner is lacing up his trainers and getting ready to run the Virgin Money London Marathon later this month to raise money for The Sick Children’s Trust as thanks for supporting his stepdaughter when her baby daughter required lifesaving treatment miles away from home. 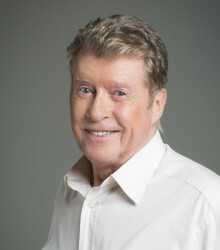 An audience with Michael Crawford event at The Guildhall, Cambridge, has been postponed. Please see article for further details. 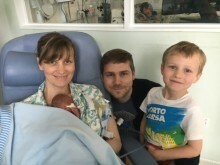 Lauren and Andrew were supported by us at Chestnut Houses after the birth of their identical triplet boys, Ted, Tom, and Ralphy, in February 2014. Sadly Ralphy didn’t make it and died in his parents’ arms, but Ted and Tom are now four years old. 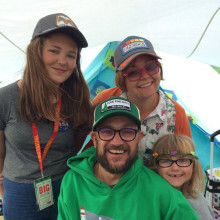 Lauren and Andrew are taking on the Prudential Ride London-Surrey 100 miles cycle challenge to raise £30 for every night Ralphy was in hospital, £1,470. 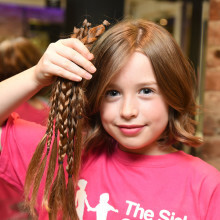 Lillia has bravely cut off over 11 inches of her hair to raise money in memory of her godmother’s daughter, Mollie Mae Meanwell, who tragically passed away in 2013. 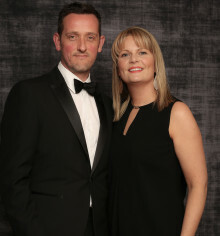 James Semmens, Company Director at Stone Specialist Gerald Culliford Limited which support The Sick Children's Trust, will be taking on the London Marathon next month to raise money as thanks for supporting his family when his niece needed hospital treatment far away from home. It's that time of year again! Big Chocolate Tea is back, and this time it's here for a whole month. 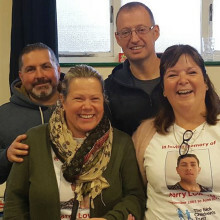 Emma Ford is taking on her first ever marathon challenge to raise money for The Sick Children's Trust who continue to support her close friends, Tracy and Adrian Bloor, whose son Alexander is in desperate need of a new heart. 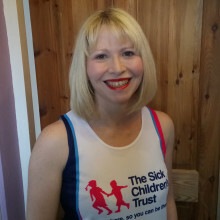 She will run the Virgin Money London Marathon on 22 April alongside 16 other #TeamSCT runners. 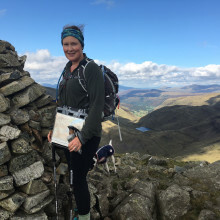 Alison Honour is training hard in preparation for a rainforest trek, from the Pacific coast to the Caribbean coast of Costa Rica, to raise money for The Sick Children’s Trust in memory of her friends’ son who tragically passed away last year. 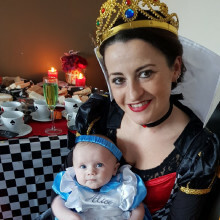 The Leverton family are organising two charity balls to thank The Sick Children's Trust for supporting their family when their son, Harry, fell critically ill in hospital. Our President, Michael Crawford, will be attending The Guildhall in Cambridge for an exclusive event hosted by the Cambridge Fundraising Committee. Join us on Wednesday 11 April for 'An Audience with Michael Crawford' and beautiful performances from Irish Soprano Margaret Keys. 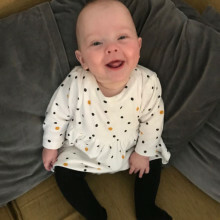 On 22 December I thought my daughter wasn’t going to make it, but just 72 hours later she woke up and shortly afterwards my partner, Trevor, proposed to me in the lobby of Stevenson House. 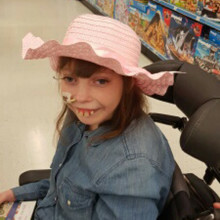 When Chloe fell ill in December 2015 her mother, Emma, became very concerned. 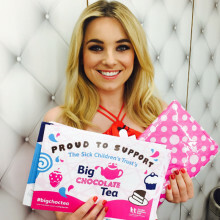 A few days later Chloe was rushed to their local hospital in the middle of the night, where she was intubated and transferred to London for lifesaving treatment. During this time we supported her family at Stevenson House with free 'Home from Home' accommodation. Home is the feeling you get when you open the door to Stevenson House. Born with gastroschisis Nelly was transferred by emergency to The Royal London Children’s Hospital shortly after birth. At just 12 hours old she underwent the lifesaving operation to put her intestines back into her body. The operation was a success and for six weeks whilst Nelly recovered in hospital we supported her parents with a room at Stevenson House. 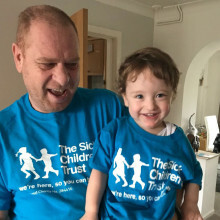 Next month, Tim will be running the Brentwood Half Marathon to raise money for us as thanks for supporting him and partner Victoria at Stevenson House in 2013 when their son Jack was born. 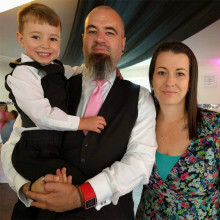 We supported Flynn's family in 2016 when he was born at 27 weeks and needed lifesaving treatment at The Rosie Hospital. 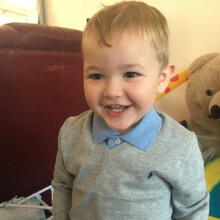 He's now doing really well and this month, his family share their story on national television to help raise awareness and vital funds for The Sick Children's Trust. This is our story and it starts right here, this is our story and it continues at home.